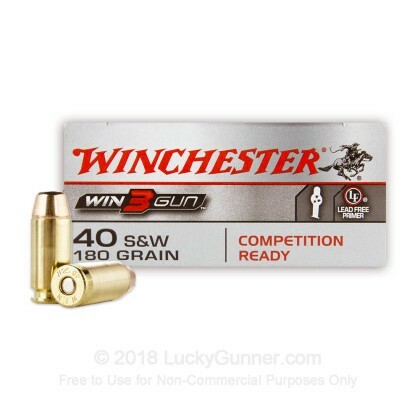 This match-grade .40 S&W ammunition from Winchester is ready to go for 3 gun competition out of the box. 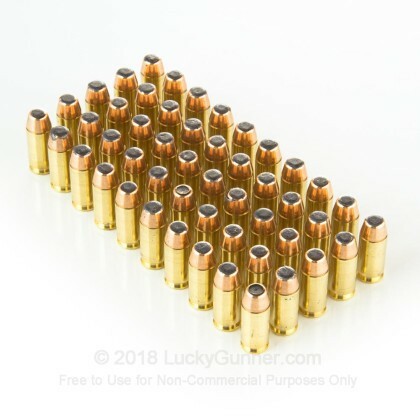 Loaded with a standard pressure charge and 180 grain full metal jacket bullet, these cartridges deliver a muzzle velocity of 800 feet per second and superb accuracy at pistol ranges. 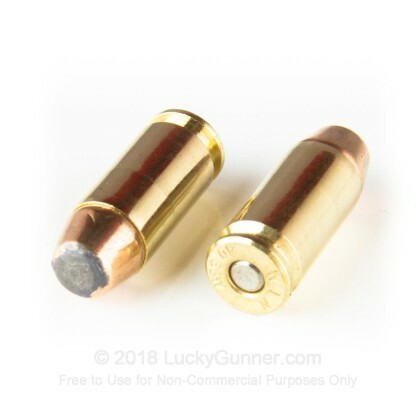 This .40 S&W ammo uses non-corrosive Boxer primers and brass cases as well as non-toxic components that will significantly reduce airborne lead and heavy metal exposure, particularly in indoor settings. 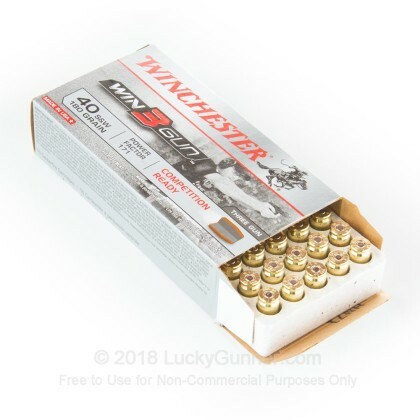 Winchester is a leading supplier of ammo for all purposes including self-defense, hunting, law enforcement, and the shooting sports. 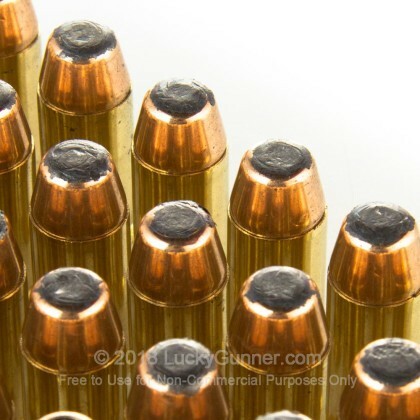 The company's primary production facility in Oxford, MS is a recently built, heavily modernized plant that uses the latest technologies to achieve unprecedented levels of quality and consistency while keeping costs (and prices) to a reasonable level. 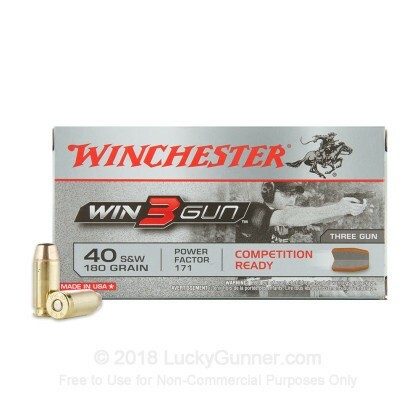 We also have this 40 S&W - 180 Grain FMJ - Win3Gun - Winchester - 50 Rounds ammo in stock in a smaller quantity.